Automatic block making machine, a new type equipment with PLC control system, can produce bricks automatically, which is very cost-saving. 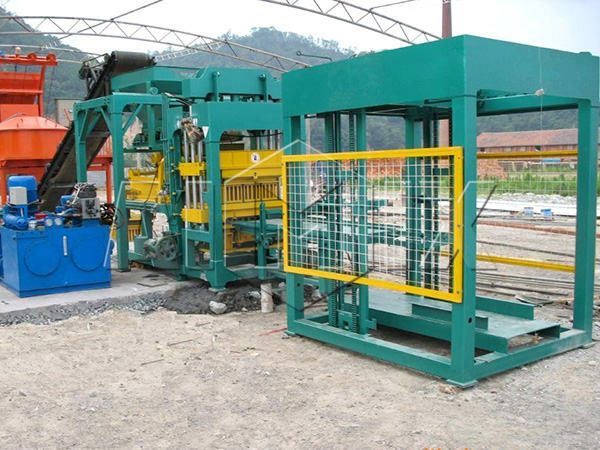 Automatic brick making plant reuses the construction rubbish to make the burning-free bricks. The prominent advantage of the machine is the high degree of automation, and it greatly reduces the labor cost and improves the efficiency. With the development of the infrastructure and new rural construction, automatic brick making machine has become a rising machine, and it will have a bright future in the construction industry. Automatic block making machine consists of silo, cement screw, cement scale, batching machine, cement mixer, block machine, hydraulic station, conveyor, pallet transfer system, block sweeper, PLC controller, block mould and stacking machine. 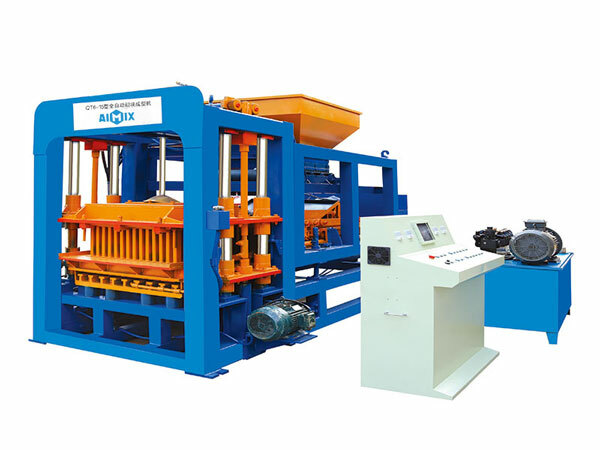 This automatic block making machine uses wate coal gangue, shale, mountain flour, fly ash, furnace clinker, mineral waste residue, gravel, sand, etc, without burning, can produce quality bricks, which is very environmental protection and fuel-efficient. As a reliable automatic block making machine manufacturer, we will try our best to meet your demands. 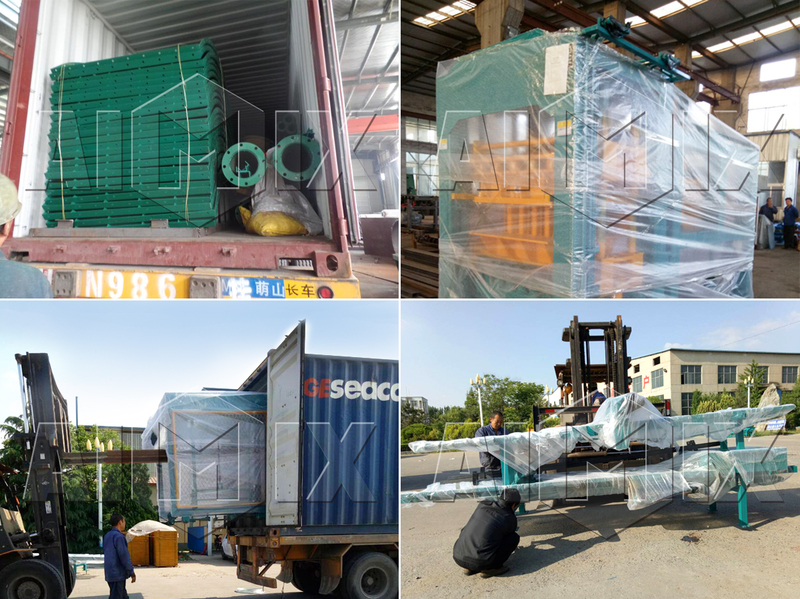 As you can see from shipment picture, we adopt container shipment method, it can prevent the block machine completely from rain, sunlight, snow, etc bad environment. You don’t need to worry there will be any damage on the machine. Once our machine arrived your city, our engineer will show you how to install, operate and maintain automatic brick machine, and he will teach your local operator carefully till the operator can run the machine smoothly. Things need to mention, our salesman will go to Phillipine once every three months, any problem, you can contact us! QT4-25 automatic block making machine was sent to Pakistan in April, 2018, up to now, our customer has began to use it to produce blocks, he said he planned to produce a large quantity of blocks for his new house. Our automatic block machine, no matter you use it for yourself, or use it for commercial use, it will help you make great benefits and save labor cost. We also have many other types automatic hollow block machine, such as, QT3-15, QT6-15, QT8-15, QT10-15 and QT12-15, you can choose a right capacity according to your real needs. High degree of automation: PLC electric control system is applied to the machine, and it fully controls all the procedures. The advanced fault diagnosis device will check and correct the errors automatically. What’s more, the manual integration settings ensure the normal running of the machine when the automatic control is out of order. 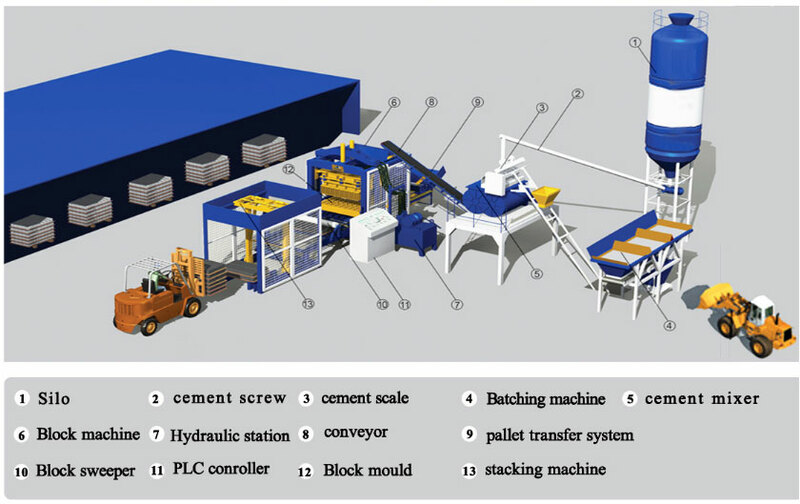 Setting multi-function in one: the machine can work as automatic concrete hollow block making machine and automatic solid block making machine. If the operators replace the mold of the machine, it will produce the bricks with different shapes. Easy operation: it adopts inverter control stacker system, which ensures smooth and secure running. All the production processes, from feeding to stacking, are completed by the fully automatic production line control system. 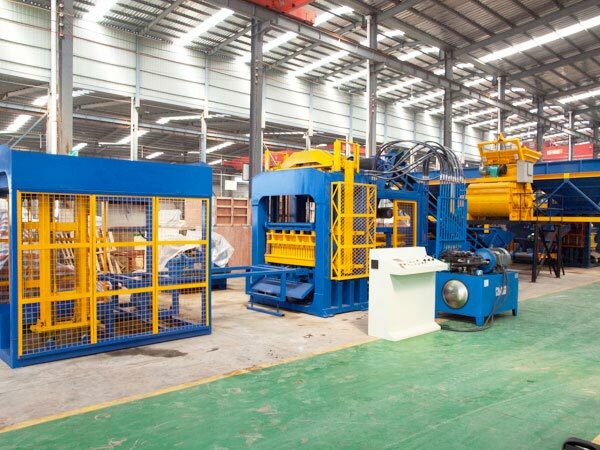 Low energy consumption: when the automatic brick machine comes into operation, the host machine is running all the time. While, other engines runs intermittently. The intermittent running ensures the low energy consumption. Making good use of waste materials: slag, sand, fly ash and construction rubbish are the raw materials of the bricks. 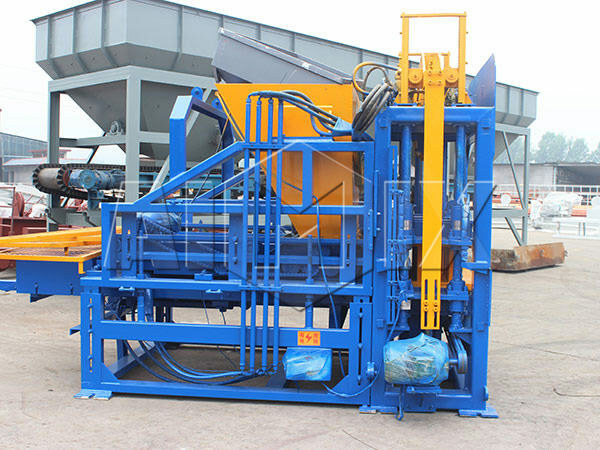 The automatic block making machine changes waste material into things of value, which saves the land and reduces the cost. The usage of frequency conversional ensures the accurate and parallel movement between the pressure head and mould due to the usage of the guide bearing. So that the auto brick making machine will not be out of shape. Meanwhile, the improvement of the vibrating efficiency contributes to the sharply increasing of production rate. Moreover, the operator can control the motor well, including immediate start and stop. So that it will prevent the auto brick machine from overheating due to the continuous operation. The sensor and the hydraulic proportional drive technology are applied to the automatic block machine. The distribution teeth rotates for 360 degree with high speed, and it discharges and distributes the materials compulsorily. 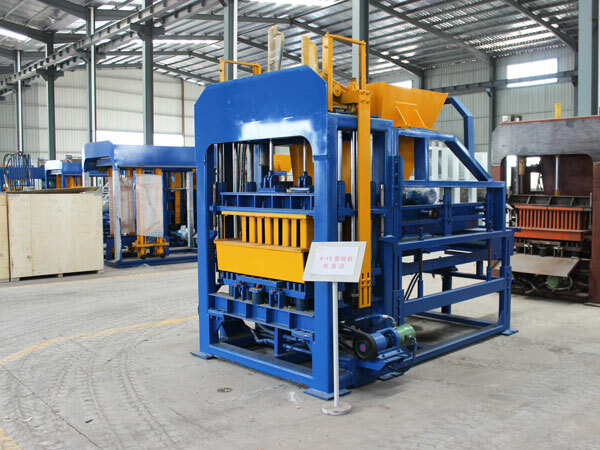 So the machine distributes the materials quickly and evenly, and it is very suitable to make the bricks with thin-wall. qt6 automatic block making machine can produce three types bricks: Hollow brick, Perforated brick and Standard brick. What kinds of bricks you need, what kinds of semi automatic block making machine for sale we provide. The machine adopts the PLC control system, interlock system, and motor, power, fluid total control system, which ensures the smooth and secure operation. The automatic brick manufacturing plant is equipped with the visualized touch screen, so that the operator will master real-time information from the screen. And it is easy to set upgrade and adjust the parameter to maximize the production output. In addition, when the machine breaks down, the warning will be offered and and the trouble will be displayed on the screen. And the interlock system will effectively avoid the mechanical failures. If you need mobile automatic block making machine, we have qty3-20 semi-automatic/hydraulic block making machine, we will customize a most proper one for your project according to your demands. Before purchasing an automatic brick making machine, many customers have questions about the differences between the full-automatic and semi-automatic machine. The biggest difference is the production output, and the full-automatic machine has higher efficiency than semi-automatic machine. What’ more, they are different in the operation mode. 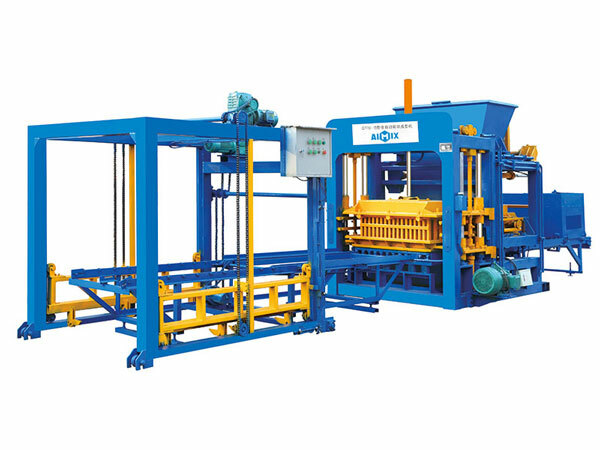 The semi automatic block making machine belongs to the vibration-forming machines. For the mechanical type, the vibration box and vibration motor of the mold are manual push-and-pull devices, and it is easy to operate. The other type is hydraulic transmission, and the hydraulic pressure is combined with pressurization, which has highly efficient vibration when forming the bricks. The hydraulic transmission type has the characteristic of reliable operation. The fully automatic brick making machine adopts the advanced PLC control system and it combines the digital technology with displacement sensing system, so that all the procedures are precise and reliable. The automatic diagnosis system will contribute to quick trouble shooting. 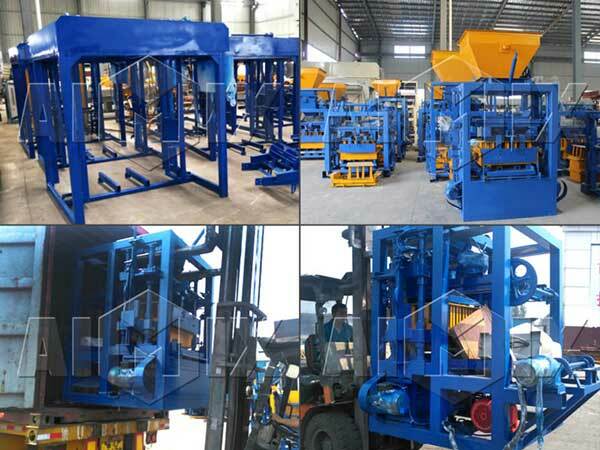 The fully and semi automatic concrete block making machine have their own features, and the customers will select according to the requirements. If you need a machine with high degree of automation and large production output, the fully automatic block making machine is the best choice for you. If the customer has lower demand on production output and urges the combination of manual operation and automatic operation, the semi-automatic machine is an ideal choice. Nowadays, there are many automatic brick making machine manufacturers on the market, and some of the automatic block making machine prices are lower than the average price. What I want to stress is that it is a unwise idea to purchase the machine only considering the low price. 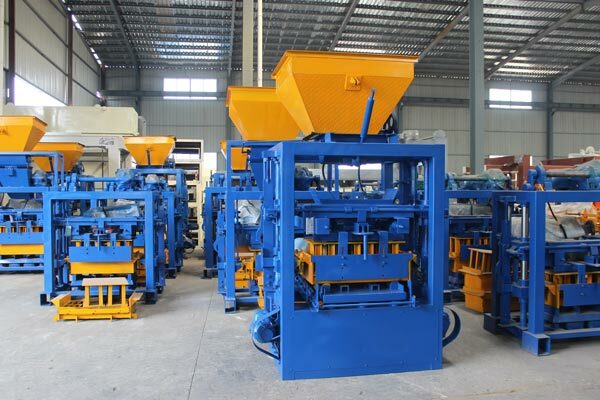 The different technology and cost always determine the automatic brick making machine price. We try our best to produce the machines with best quality. The workers in our company receive the professional training, and each bolt is installed with care. Before the machines leave the factory, all of them have to pass strict inspection. We try our best to reduce the price of automatic block making machine china by enhancing the technology. The productions in our company have the features of low energy consumption and high abrasion performance. The machine adopts the advanced technology and high-strength steel, so that it has long working life and low cost of production. We try our best to provide perfect service for the customers. There are many skilled experts in our company, and they will offer the technical support timely. If the customers have any questions during the operation, you can call the toll-free service number, and we will make efforts to help you. Now, there are many automatic block making machines for sale in Aimix, and the fully automatic block making machine price is proper. If you want to purchase an automatic brick making machine or to get more information about the productions, please leave your message, and we will give an early reply.